If you’ve ever stumbled across one of those “47 celebrities you didn’t know were from Milwaukee” things, you’ve probably seen the usual suspects: Gene Wilder, Heather Graham, the nice lady who played Mrs. Garrett on The Facts Of Life. But here’s one that doesn’t typically pop up on those lists: the dude who voiced Howard the Duck in the infamously awful/wonderful 1986 film of the same name. Again: the dude who voiced Howard the Duck is from Milwaukee. Huh! Yes, actor Chip Zien was born in Milwaukee in 1947, a member of (per a Milwaukee Journal piece from 1981) “Milwaukee’s close-knit Zien Plumbing and Heating family.” As a kid, he played a child in a production of South Pacific at the Melody Circus Theater in Ozaukee County. He graduated from Whitefish Bay High School in 1965, and taught 6th grade at 20th Street School (later Phyllis Wheatley Elementary). He eventually graduated from the University of Pennsylvania, where he was active in theater. Zien’s early brushes with fame came in the ’70s and ’80s, with appearances in Love, American Style and Ryan’s Hope. On stage, he played the role of Baker in the original Broadway production of Stephen Sondheim’s Into The Woods. Then came Howard The Duck, a live-action adaptation of the cult-classic Marvel comic book. Executive produced by George Lucas, and starring the likes of Lea Thompson and Tim Robbins, the $30 million film was notorious from the start. Zien wasn’t cast until after production was completed, though; he beat out other actors like John Cusack, Jason Alexander, and Martin Short for the part. The film eventually made back only half its budget domestically, and it was panned by critics. Decades later, Seth Green would provide the voice of Howard in a post-credit scene in the first Guardians Of The Galaxy. 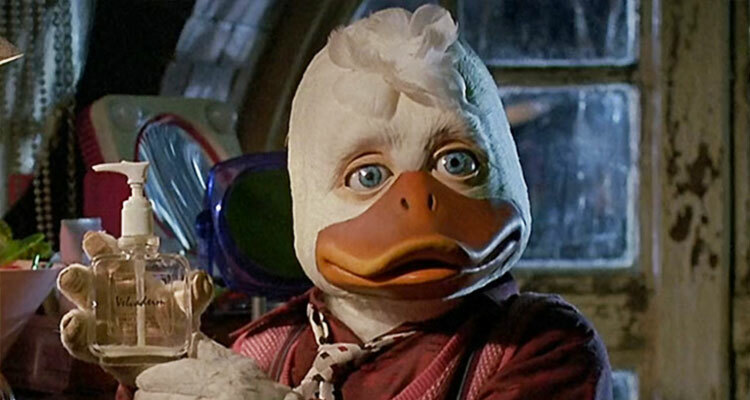 Could a Howard The Duck reboot with Green be in the cards? Probably not. Thankfully, we’ll always have the Zien-voiced Howard, leafing through Playduck magazine, getting sucked into outer space and landing on Earth, and getting frisky with Marty McFly’s mom.